Israel will soon enter the EEU free trade zone, RBC reports citing The Times of Israel newspaper. According to the representative of the Ministry of Economy, the negotiations that have been going on since April of last year will lead to the signing of an agreement that provides for customs cooperation, the removal of trade barriers, the development of electronic commerce, the resolution of sanitary and epidemiological control issues. In parallel, Iran is planning to sign a free trade agreement with the EEU. The Times of Israel indicates that we are talking about unrelated contracts. That is, a free trade regime with the member states of the EEU does not mean that Israel will have to agree to free trade with Iran. At the same time in the office of the Israeli Prime Minister told reporters that the authorities of this country will continue economic pressure on Tehran, hoping for a change in the policy of the Islamic Republic. Iran signed a temporary agreement on the creation of a free trade zone with the EEU last May. So far it provides for the creation of a dispute resolution mechanism. It was not mentioned about zeroing import duties. 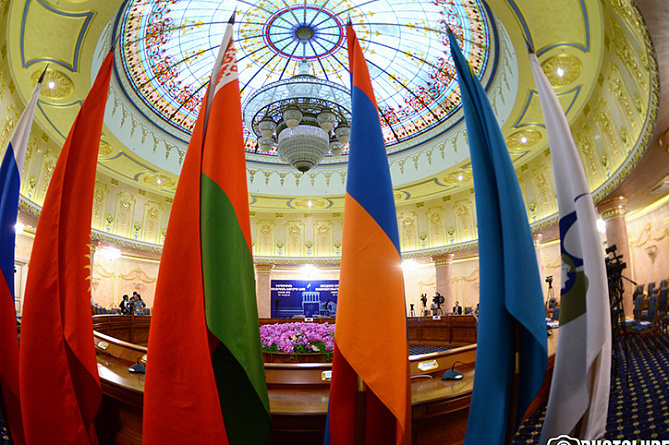 In early February, Sergey Tsyb, First Deputy Minister of Industry and Trade of Russia, said that in addition to Israel and Iran, India, Egypt and Singapore may also sign free trade agreements with the EEU. They will join Vietnam, which signed the corresponding agreement in 2015.